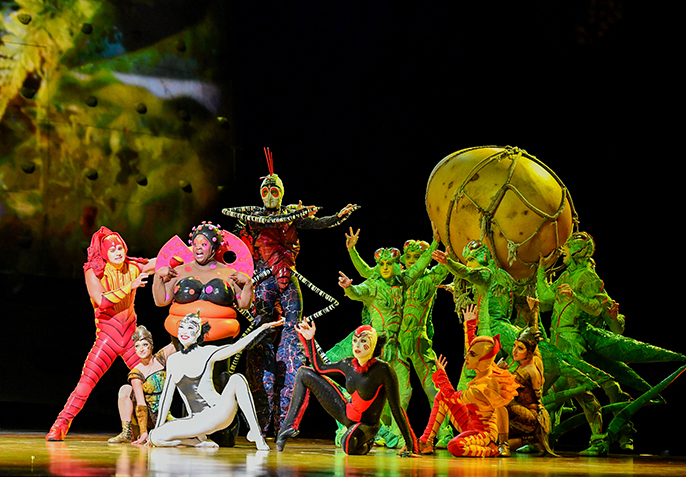 ‘OVO’ which means egg in Portuguese, is the 25th Cirque du Soleil live production created on the company’s 25th anniversary. OVO first premiered in Montréal in April 2009. The show has visited more than 30 cities in six different countries, which has been seen by over five million people since its premiere in Montréal. With a sizeable cast of 53, the story begins in the world of Insects that gets interrupted by a bluebottle fly carrying with him a large mysterious egg that captures the curiously of the insects. Meanwhile a ladybug captures the interest of the bluebottle fly alongside a band of cockroaches who sing and play music by composer Berna Ceppas. The enjoyment of this piece is not in the telling of a story (which is light) but in the skill of the movement. The crew of OVO is an international one boosting 17 nationalities: Australia, Belarus, Belgum, Brazil, Canada, Chile, China, Denmark, France, Moldova, Mongolia, Russia, Spain, Taiwan, Ukraine, United Kingdom and the US. Yet, It would have been appropriate to see more people of colour both on stage and amongst the creators. “My type doe not get to play the romantic lead too often” says Michelle Matlock who plays the ladybug character. I agree which is why I was delighted when she graced the stage with a pleasant, warm and comic spirit, unfortunately as a women of colour myself I was left feeling slightly uncomfortable with the representation of the character, in addition to the way in which she was “wooed” and her body treated. Nevertheless, the skill and showmanship of the cast is faultless. 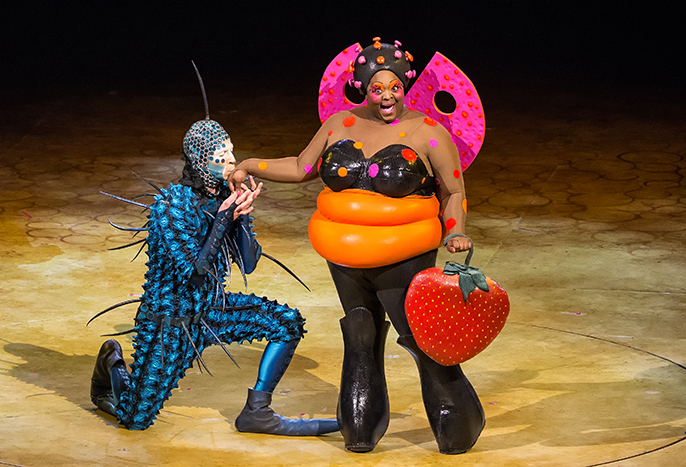 Reminding me of the wonders of performance; the show is a shared experience, adults and children alike watch with eyes wide and mouths open to the daring and seemingly impossible way the cast contort, shape and move their bodies representing the bugs. 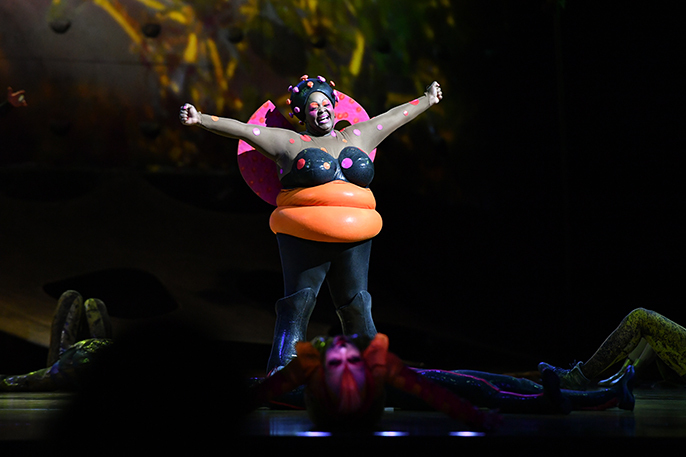 Two of my personal highlights were the daring, balletic duet from the butterflies performed using aerial straps to impressively swoop across the stage and the infectiously playful ants juggling and balancing as they gathered food with their feet.